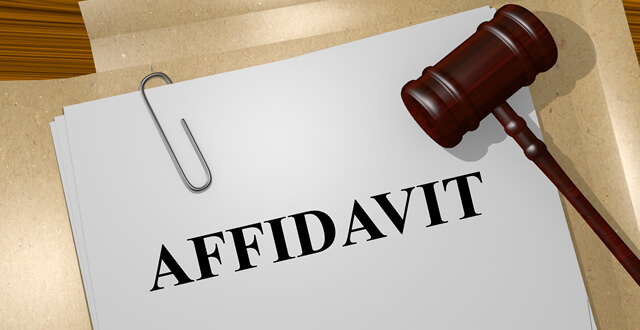 In law, an affidavit is a written statement made by a person, voluntarily and under an oath as administered by a person legally authorized to do so. Individuals such as certain members of state, local and federal government qualify as “authorized” under the definition, as do public notaries that are certified by the state where the statement takes place. There are many different types of affidavits used for a variety of legal reasons; if you’re asked to provide one, you should have a basic understanding of why you’re being asked to do so. When a spouse or immediate family member dies without a will, someone must act on that person’s behalf to wrap up all property matters and distribute assets to those entitled to them. Many courts offer a “small estate” proceeding where the value of all property falls below a certain amount, but the individual handling the estate must attest to the fact that the assets are under that minimum threshold. The Affidavit of Small Estate, like other affidavits, is equivalent to the signer testifying under oath about the statements being made as to estate value. This document is also used when a spouse or close family member dies and their assets must be distributed to the right individuals. The Affidavit of Heirship is executed by a person who is attesting that the deceased left certain descendants behind and is listing them by name and relationship. If you need to verify the home of someone, you would use an Affidavit of Residence. Common scenarios include needing to prove your home address for business or tax reasons, or to establish that a child belongs in a certain school district. Mostly used when a person gets married or divorce, this affidavit is used to prove that you’ve legally changed your name. Typically, you’ll state your existing name, new name and identify the jurisdiction where the change occurred. In immigration proceedings, applicants are often required to show that someone else can provide appropriate financial support during the process of gaining status as a permanent resident alien or citizen. The Affidavit of Support is executed by the person who is financially able to ensure the applicant doesn’t become a burden to government resources. In divorce proceedings, spouses must reveal all of their assets owned – both jointly and individually – so that a court can make a determination about dividing property. Such information is also used to decide spousal and child support. 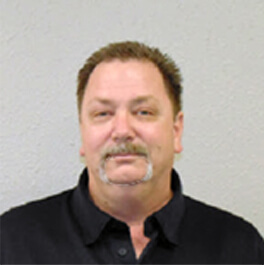 By executing a Financial Affidavit, the signer is swearing under oath that he or she owns the assets listed. If you need to notify a business, bank, court or other entity that a person has died, you would usually present a Death Certificate. However, where this document is impossible or impractical to obtain, an Affidavit of Death can be used to establish that the person has passed. If your identity has been compromised – either online or otherwise – it’s recommended that you notify creditors and credit bureaus of the fact. Some companies will require you to swear under oath through an Identify Theft Affidavit regarding the unauthorized use of your personal information. While less common than other types of affidavits, the Affidavit of Service stands as sworn testimony that you delivered specified documents to another individual. Certain required notices, especially involving court matters, must be attested to by an Affidavit of Service to prove that you gave required paperwork to the individual listed. Regardless of the reason you’re requested to prepare an affidavit, it’s essential that you follow the proper procedures to ensure that the document has full force and effect under the law. If you’re in need of notary services to certify statements made on an affidavit, you should consult with a professional for more information on the process.